One of the things I’ve always thought was great about the Women of the Otherworld series is no matter who was the lead in a particular book, there were always enough cameos and information to know what was going on with previous characters from this world. Thirteen, the final installment, is slightly different though, truly living up to the series name. While it features the third consecutive book with Savannah as the narrator, it is dotted with chapters told from all the main women from the series’ perspectives. I loved this as not only were these chapters used to move the story along, but also I really felt like I got one last proper connection with each of the six female leads. Action packed doesn’t even cover Thirteen. I’m pretty sure I got action whiplash from this book. It felt like a giant game of chess with characters being positioned round the supernatural board. It picks up immediately after the explosion in New Orleans at the end of Spell Bound. The Supernatural Liberation Movement continues to feature heavily, but in this installment we see more of the big guns weighting in – expect Lord Demons and Angels popping up left, right and center. 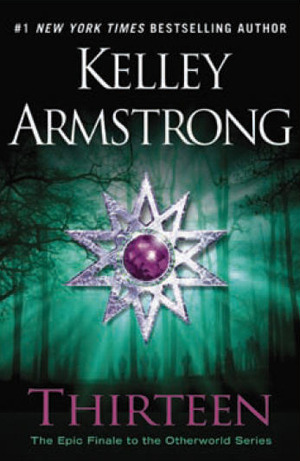 Kelley Armstrong is a master of plot arcs, and Thirteen is no exception. 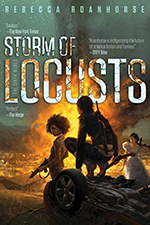 The race against time builds throughout, pulling in threads from previous books and weaving them together for not just a great climax, but also a fitting end to this brilliant series. Thirteen, combined with Waking the Witch and Spell Bound, reads very much like a closer to a trilogy. 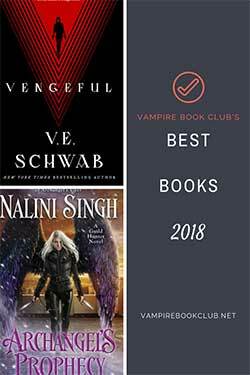 Many of the Women of the Otherworld books can be read as standalones, if you really want, but that certainly isn’t the case with these last three. I really enjoyed Savannah’s coming of age story. She has always come across as slightly arrogant and foolhardy, walking the same path as Eve. Without getting too spoilery, they get to spend some face-to-face time together in this book, combined with her learning not to rely so much on her powers, Savannah starts to come to the realization she is her own person. I really felt she grew up in this book, stepping out from under Eve’s shadow and learning from her previous mistakes. The romance for which some of the earlier books are known took a back seat in these later books. It’s hardly surprising as Savannah and Adam’s story is some what overtaken by the fight for survival by the entire supernatural community. If you’re looking for some steamy time à la Bitten, then you may be disappointed, but with so much action going on I didn’t mind that much. The Women of the Otherworld was one of the first urban fantasy series I picked up and has remained a favorite through the years. While I’m sad to see it end, Thirteen is a great send off, with fantastic storytelling, a beloved cast of characters and an open door to the possibility of more trips into the Otherworld universe in the future. Note: As a huge Elena fan I have to admit I was a bit sad when I found out she wouldn’t be the narrator, but I managed to pick up the hardback version which has an exclusive Elena short story, From Russia with Love. It was just the wolf pick-me-up I needed and gave me the closure I wanted from the character that started the whole thing off. I have been very curious about this book, especially since the cover is so different from the other installments in the series. I have only read the beginning of the series so far and am glad to know it is worth keeping on. Thank you for sharing today.